KRAKOW, Poland, July 11, 2017 (ENS) – The UNESCO World Heritage Committee meeting in Krakow added three natural sites and extended another, while removing a West African site from the Danger List and warning Poland to stop logging one of the first World Heritage sites ever named. The World Heritage Committee adopted a decision urging Poland to immediately halt all logging in the old-growth forests of Białowieża. The decision follows the advice of the International Union for Conservation of Nature, IUCN, the official advisory body on nature to the World Heritage Committee. One of the few remaining primeval forests on the European continent, Białowieża Forest was inscribed on the World Heritage List in 1979 as one of the first World Heritage sites. The site was extended twice, in 1992 and 2014 until today it covers 141,885 hectares across the Polish-Belarusian boarder. It is inhabited by the European Bison and more than 250 bird and over 12,000 invertebrate species. 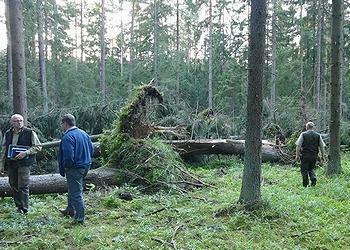 Poland has been logging in Białowieża Forest although the site is protected under the European Union’s Natura 2000 initiative. The forest was the subject of European Commission’s announcement of an infringement procedure against Poland, which declared that increased logging in Białowieża is likely to cause irreparable biodiversity loss. “IUCN remains concerned with the activity in Białowieża and will work with Poland to find the right management solutions to preserve this unique European site,” said Luc Bas, director of IUCN’s European Regional Office. IUCN plans to engage with Poland to carry out a monitoring mission to Białowieża to assess the situation and identify and agree on adequate measures to conserve the site. Should danger to the site’s Outstanding Universal Value be confirmed, the Białowieża Forest will be considered for inscription on the List of World Heritage in Danger in 2018. The World Heritage Committee, chaired by Jacek Purchla, founder and director of the International Cultural Centre in Krakow opened its 41st session July 4 and will end it tomorrow. As a first order of business, the committee removed Comoé National Park in Côte d’Ivoire from the List of World Heritage in Danger, as its wildlife recovers from impacts of civil unrest. The decision follows a recommendation from IUCN. This is the first World Heritage site to be removed from the Danger List in over 10 years in West and Central Africa, a region where half the 20 natural World Heritage sites are on that list. Comoé National Park, one of the largest protected areas in West Africa, was inscribed on the List of World Heritage in Danger in 2003 due to farming, illegal gold mining, poaching and political instability. Now, species populations in Comoé National Park are on the rise for the first time in nearly 15 years, due to effective management of the park following a stabilization of the political situation in 2012. An IUCN field mission earlier this year confirmed encouraging numbers of chimpanzees and elephants, which were thought to have disappeared from the park. 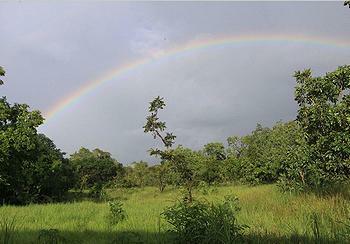 Around 300 chimps and about 120 elephants are believed to live in Comoé National Park today. “Comoé National Park serves as an inspiration, and shows that the recovery of World Heritage sites impacted by civil unrest is possible,” said Badman. The World Heritage Committee also approved the withdrawal of the Simien National Park in Ethiopia from the List of World Heritage in Danger. Massive erosion over the years on the Ethiopian plateau has created one of the most spectacular landscapes in the world, with jagged mountain peaks, deep valleys and sharp precipices dropping some 1,500 meters. The park is inhabited by extremely rare animals such as the Gelada baboon, the Simien fox and the Walia ibex, a goat found nowhere else in the world. Human settlements and livestock grazing threaten the integrity of the World Heritage site, but two proposed extensions of the national park – the Masarerya and the Limalimo Wildlife Reserves, and also the Ras Dejen mountain and Silki-Kidis Yared sectors -and their interlinking corridors are free of human settlement and cultivation, and support the key species that are central parts of the Outstanding Universal Value of the Ethiopian site. During this session, the World Heritage Committee inscribed three new natural sites on UNESCO’s World Heritage List and expanded another. The committee has inscribed natural sites in China and Argentina on the list as well as a transboundary site in Mongolia and the Russian Federation. It also approved the extension of the World Heritage site of the Primeval Beech Forests of the Carpathians and the Ancient Beech Forests of Germany, which now stretches over 12 countries: Albania, Austria, Belgium, Bulgaria, Croatia, Germany, Italy, Romania, Slovakia, Slovenia, Spain, Ukraine. In China, the committee inscribed Qinghai Hoh Xil, located in the far northeast of the Qinghai-Tibetan Plateau, the largest and highest plateau in the world. This extensive area of alpine mountains and steppe systems is situated more than 4,500 meters (14,763 feet) above sea level, where average temperatures never rise above zero. More than one third of the plant species, and all the herbivorous mammals found there are endemic to the plateau, found nowhere else in on Earth. The World Heritage designation secures the complete migratory route of the Tibetan antelope, one of the endangered large mammals endemic to the plateau. But the International Campaign for Tibet, ICT, an advocacy group for the Tibetan people, warns that the 60,000 km2 area is in the middle of three major nature reserves that increasingly exclude normal Tibetan land use such as nomadic herding, situate the state as the sole agency of control, and encourage mass tourism. China describes Hoh Xil as ‘no man’s land’. But the ICT argues that Tibetan pastoralists have made skillful use of the dry landscape here and across the plateau for centuries, co-existing peacefully with wildlife and protecting the land. The involvement of Tibetans, and nomads in particular, as stewards is essential to sustaining the long-term health of the ecosystems, and the water resources that China and Asia depend upon. Excluding them is inconsistent with guidelines from UNESCO and the International Union for the Conservation of Nature, which seek to ensure that the rights of local and indigenous people are respected. This site is an outstanding example of the Daurian Steppe eco-region, which extends from eastern Mongolia into Russian Siberia and north-eastern China. Cyclical climate changes, with distinct dry and wet periods lead to a wide diversity of species and ecosystems of global significance. The different types of steppe represented, such as grassland and forest, as well as lakes and wetlands serve as habitats for rare species of fauna, such as the White-Naped crane and the Great bustard, as well as millions of vulnerable, endangered or threatened migratory birds. 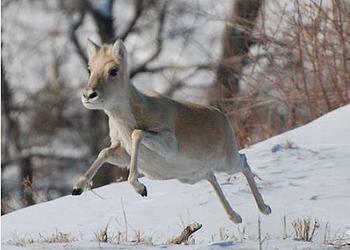 It is also a critical site on the migration path for the Mongolian gazelle. The Mongolian gazelle is still one of the most numerous large animals in the world, with the total population at about 1.5 million individuals, but approximately 100,000 are killed each year. The Los Alerces National Park is located in the Andes of northern Patagonia; its western boundary is at the Chilean border. Successive glaciations have molded the landscape in the region creating spectacular features such as moraines, glacial cirques and clear water lakes. The vegetation is dominated by dense temperate forests, which give way to alpine meadows higher up under the rocky Andean peaks. The World Heritage Site is vital for the protection of some of the last portions of continuous Patagonian Forest in an almost pristine state and is the habitat for a number of endemic and threatened species of plants and animals. This transboundary extension of the World Heritage site of the Primeval Beech Forests of the Carpathians and the Ancient Beech Forests of Germany stretches over 12 countries. Since the end of the last Ice Age, European beech spread from a few isolated refuges in the Alps, Carpathians, Mediterranean and Pyrenees over a short period of a few thousand years in a process that is still ongoing. This successful expansion is related to the tree’s flexibility and tolerance of different climatic, geographical and physical conditions. Still, the IUCN warns that illegal fishing, logging and poaching are affecting two-thirds of the 57 natural World Heritage sites monitored by the organization this year, putting some of the world’s most precious and unique ecosystems and species at risk. “It is alarming that even our planet’s greatest natural treasures are under pressure from illegal activities,” says IUCN Director General Inger Andersen. “World Heritage sites are recognized as the planet’s most unique and valuable places, for nature and for people. If destroyed, they are lost forever.